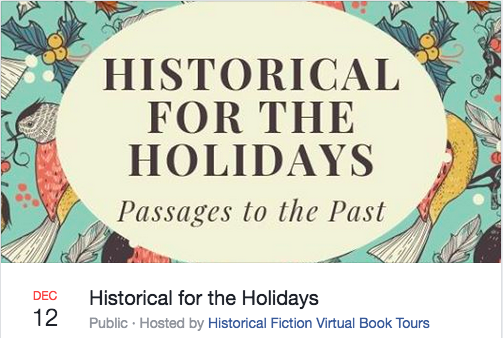 Log onto Facebook’s Passages to the Past “Historical for the Holidays Book Tour” on Dec. 12 and learn about some terrific novels from over 34 historical fiction authors. I’ll be joining the tour at 11:10 am CT (12:10 ET) to discuss my Civil War-era DarkHorse Trilogy - The Lies That Bind, Honor Among Outcasts and the soon-to-be-published Something in Madness. I’ll be taking comments and offering an ebook copy of The Lies That Bind and Honor Among Outcasts as giveaways!